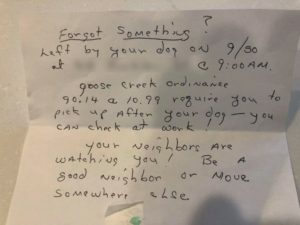 A Goose Creek subdivision has been thrust into controversy this week after an allegation of failing to pick up dog poop was made against a city official. The uncorroborated accusation stemmed from an angry note left on City Administrator Jason Sweeper’s front door which was accompanied by the bag of poop in question. 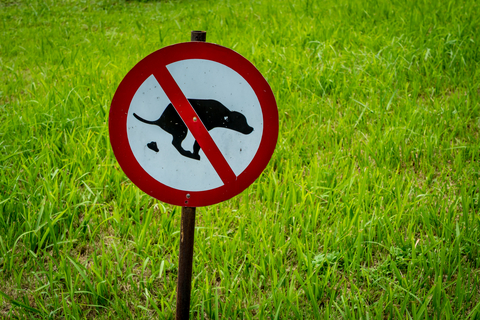 Under mounting pressure, the mayor of Goose Creek has initiated an investigation into the dog pooping incident that will be swift and limited in scope. Accusations from this neighborhood aren’t uncommon. In May, residents accused the community’s master planner of making the streets too puddle-y when it rains. The following month, they denounced the head landscaper for cutting the pond marsh grass too low, which was later amended to complaining about it being too long. Some residents have even requested that ambulances take a different route to the hospital so they don’t have to hear them. The anonymous note that sparked the controversy has come into question because of timeline discrepancies. 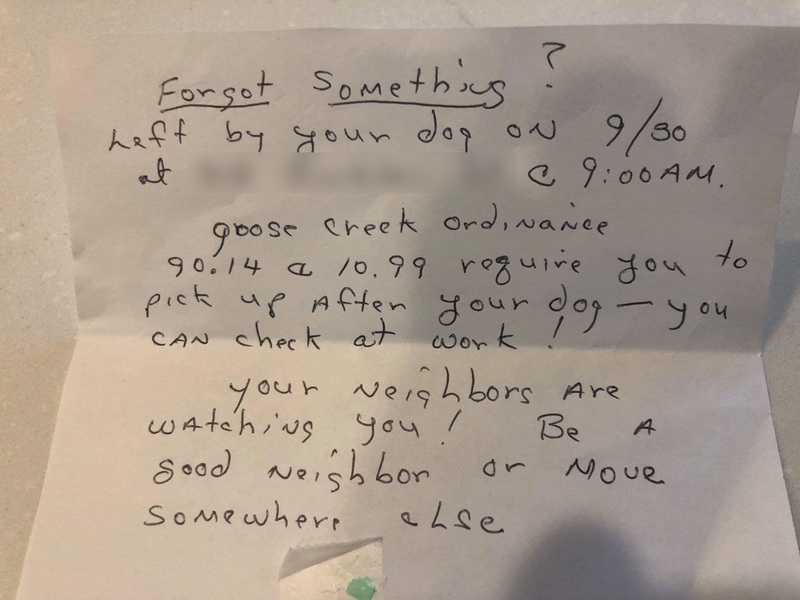 The note calls out Sweeper for not picking up his dog’s poop at 9:00am, but Sweeper’s FitBit records show he walked his dog at 7:30am. The matter became public when the note was leaked to the press, which may have been done in retaliation for Sweeper enforcing city ordinances by removing tacky business signs. The mayor will review the confidential report on the investigation conducted by city agents on Friday with a potential ruling coming on Saturday. It’s expected that the mayor will recommend that residents find hobbies so they don’t waste his time with ridiculous complaints going forward.